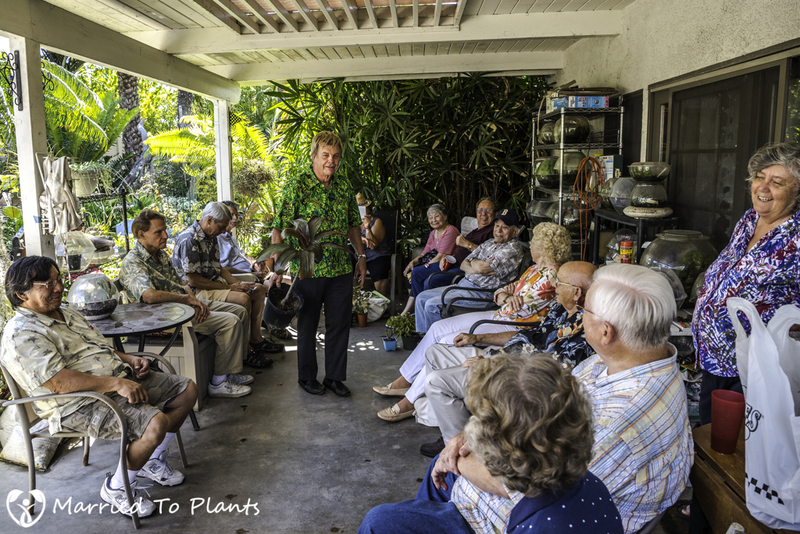 Last month I was invited to attend a small, local plant group’s monthly meeting in the Los Angeles area. My wife and son were out of town that weekend, so what a great opportunity to stay at Disneyland with my 8-year-old daughter and the next morning attend the meeting and tour a “must-see collection of plants.” So how could I not attend the October Ti Society meeting at the home of Norm and Candy Nakanishi in Anaheim, CA? 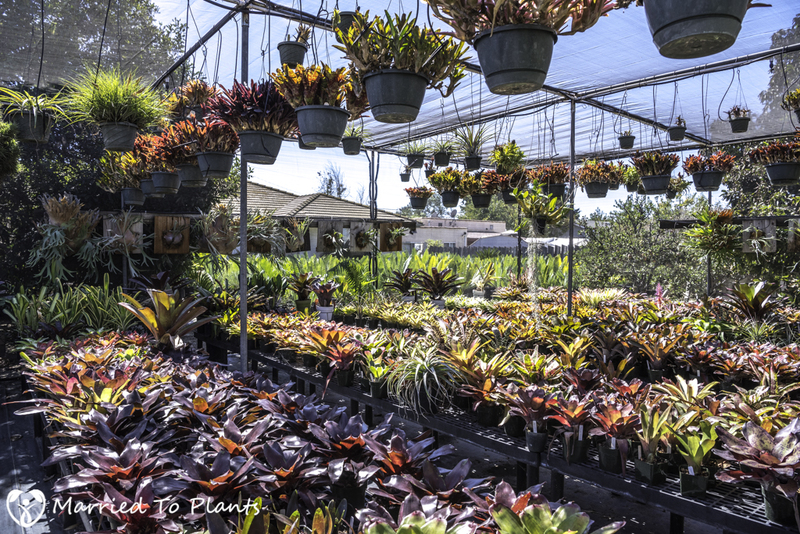 Not surprisingly, it is never hard to find the home of a plant lover. No need for Google Maps once you are getting close. 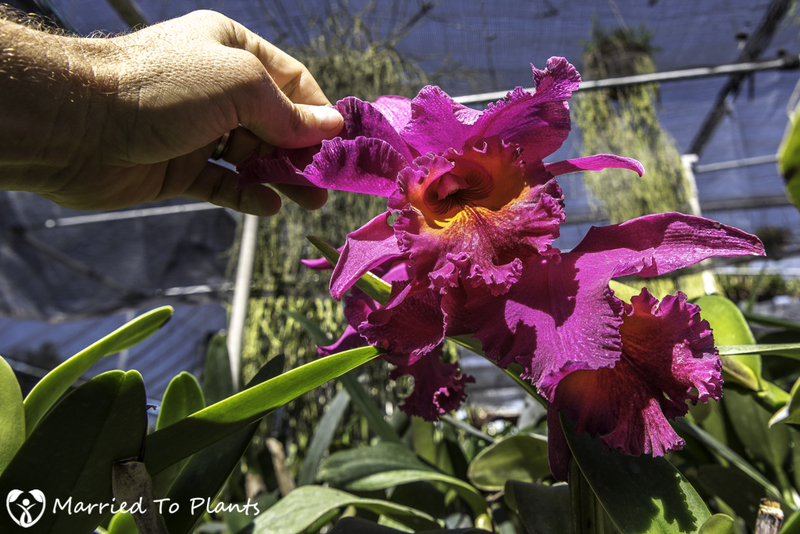 Before touring Norm’s garden, greenhouses and shadehouses (yes, plural), I had a Ti Society meeting to attend. 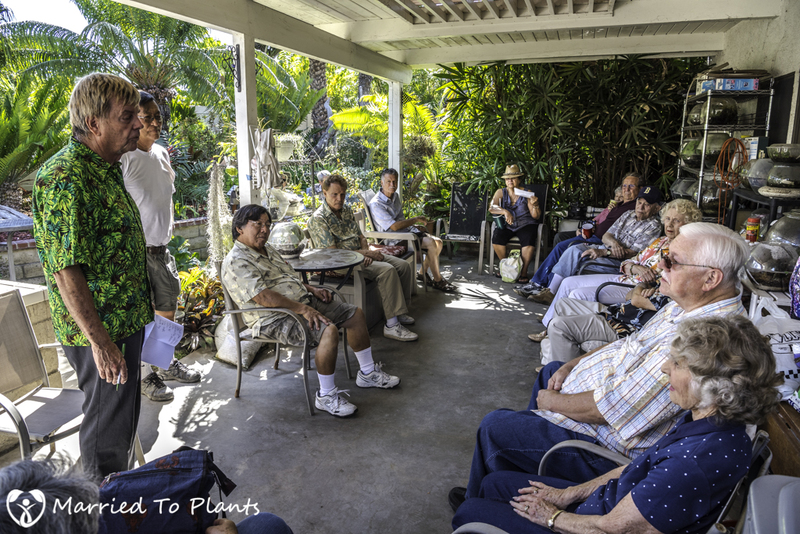 The Ti Society in LA is a self-admitted “make-shift” group of about 25 passionate plant-loving members. Most of these members are active in many other plant groups. 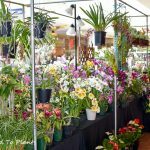 It is an older group of people with a wealth of plant knowledge. I know I left the meeting wiser than when I arrived. 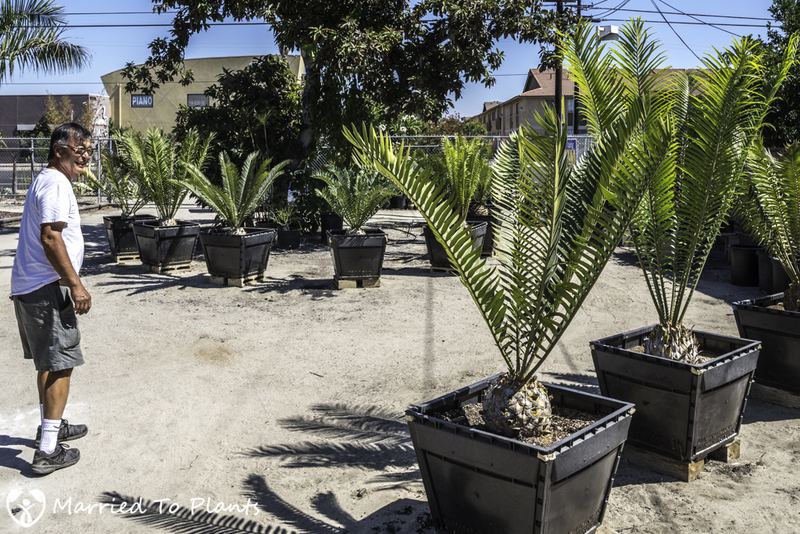 The Ti Society in LA raises money by members donating plants that in turn go up for auction. Here is president Kenneth Garlock (online moniker is “Tropical Ken”) trying to squeeze a bigger bid out of members on a Ti plant. Once the meeting was over I had a chance to meet Norm and his wife Candy. It was than that I learned Norm is very active in many plant societies, not just the Ti Society. For example, he is currently the president of the Cool Growing Orchids Society. 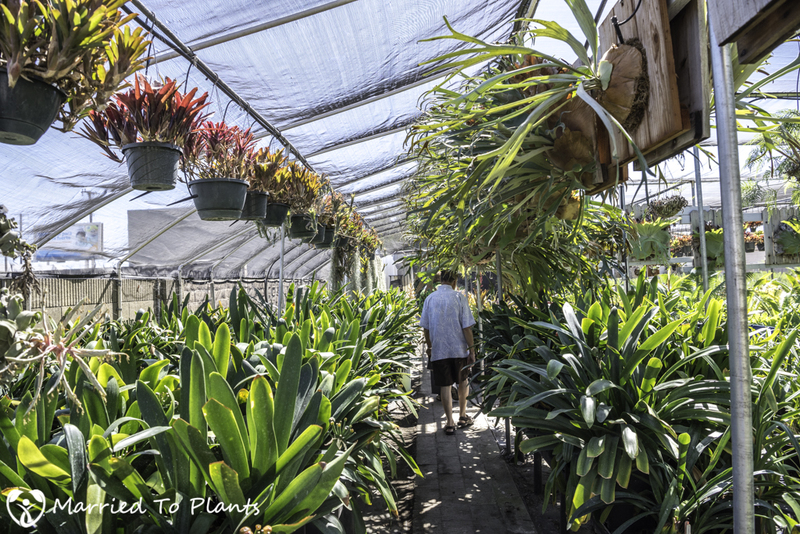 “Cool” being used in terms of climate, but yes, of course all orchids are also “cool.” Norm also informed me that his first foray into plant collecting was with cycads back in the ’60s while he was in high school. 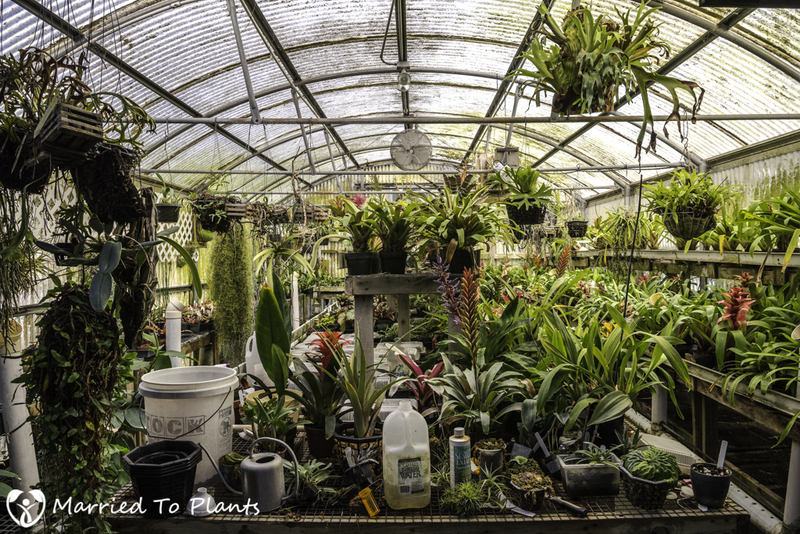 The man has been collecting plants for 50-some years and as you will see, he has an extensive collection of amazing plants. 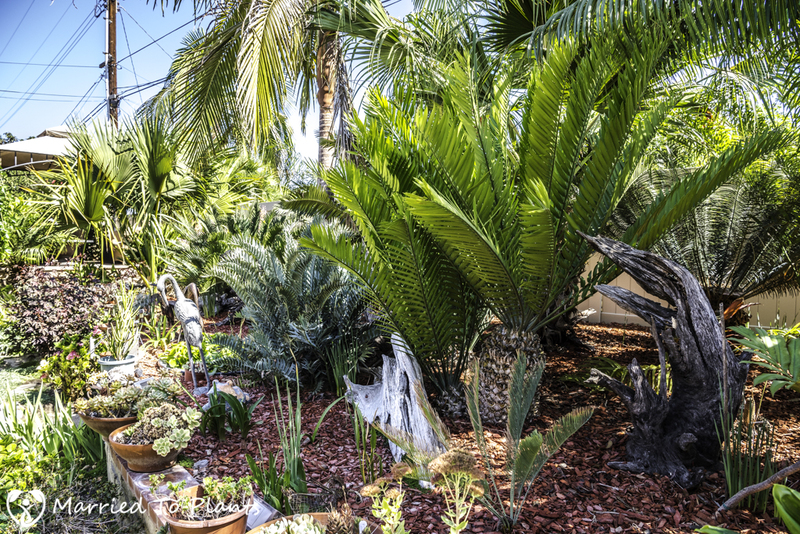 Starting in the backyard, it is hard not to notice his cycads. Some have grown up from the seedling stage going back to the ’60s. 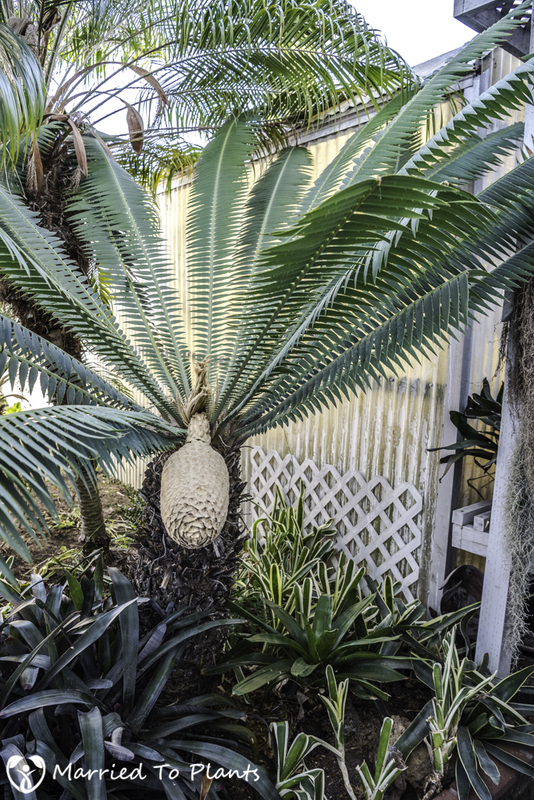 I believe this is either an Encephalartos natalensis or an Encephalartos altensteinii. 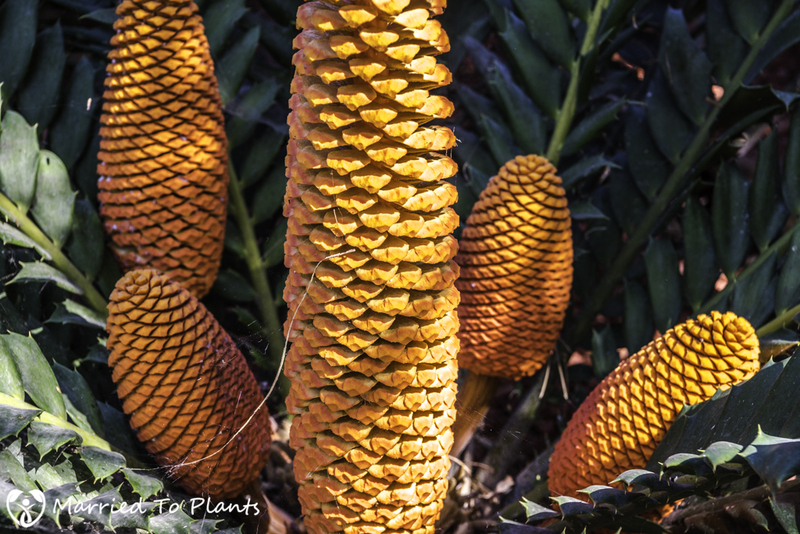 The colorful red male cones of an Encephalartos ferox. 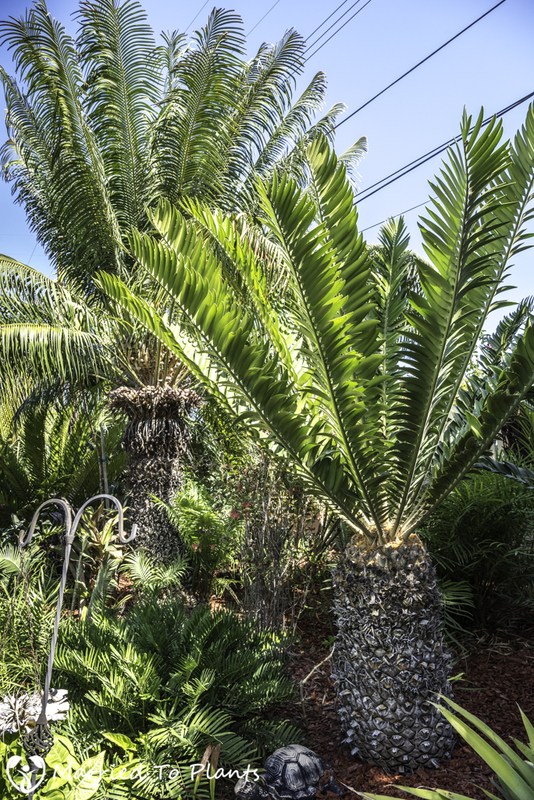 I have yet to meet a cycad collector who doesn’t also have palms in their yard. 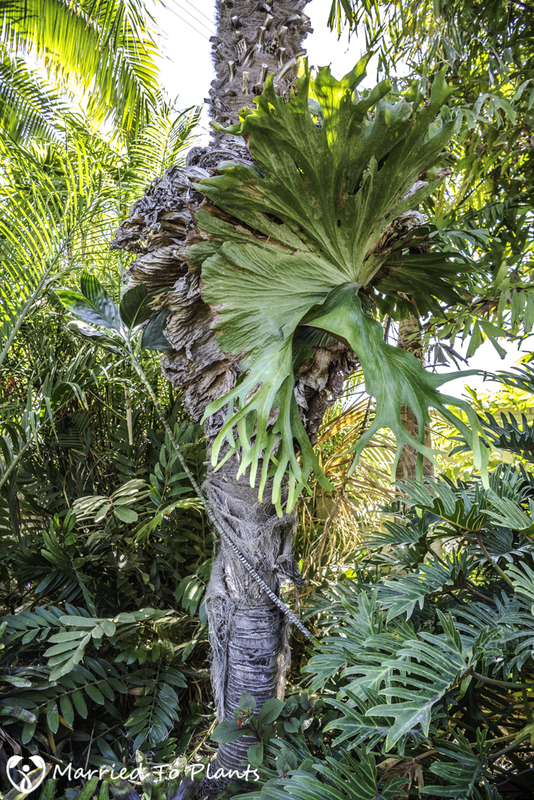 Here is one from my favorite genus – Dypsis lanceolata. Young, thin Wodyetia bifurcata with another Dioon spinulosum behind it. 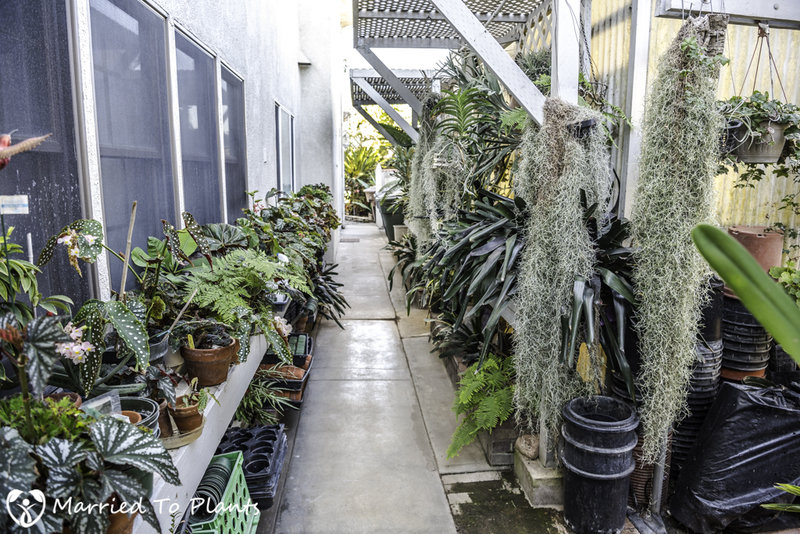 In the first picture of this blog post you can see two well-grown Wodyetia bifurcata. A good view of the backyard from Norm’s gazebo. An unknown Sabal is centered. 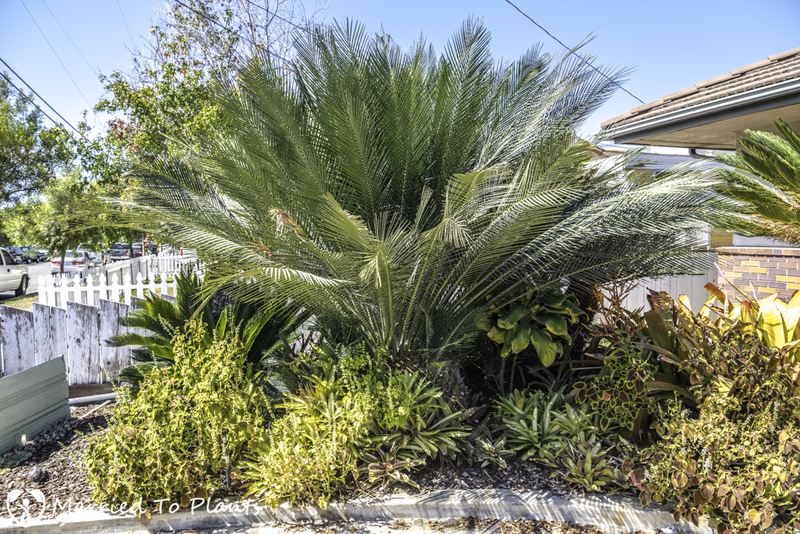 Most likely a Trachycarpus fortunei to the left and what appears to be some sort of Phoenix hybrid to the right. You could see from the last picture that Norm has mounted a few Platycerium to palm trunks. 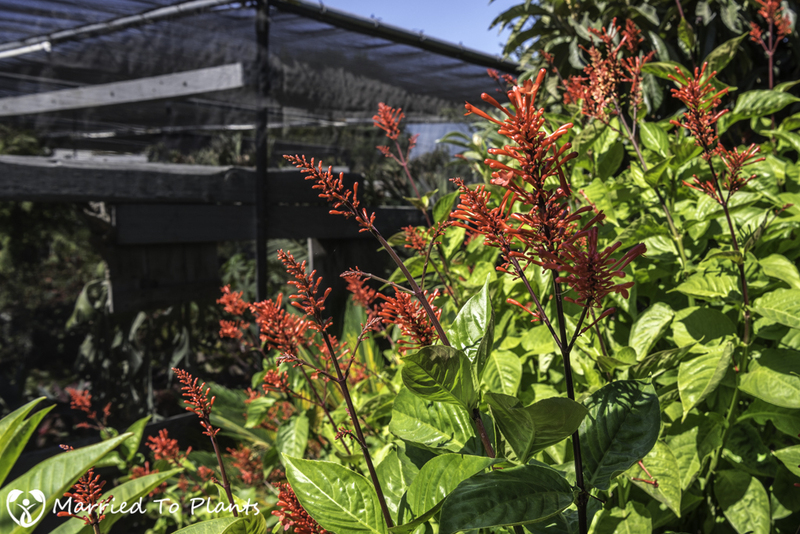 When a plant collector starts to run out of room to plant things in the ground, what does s/he do? Put stuff in pots, of course. 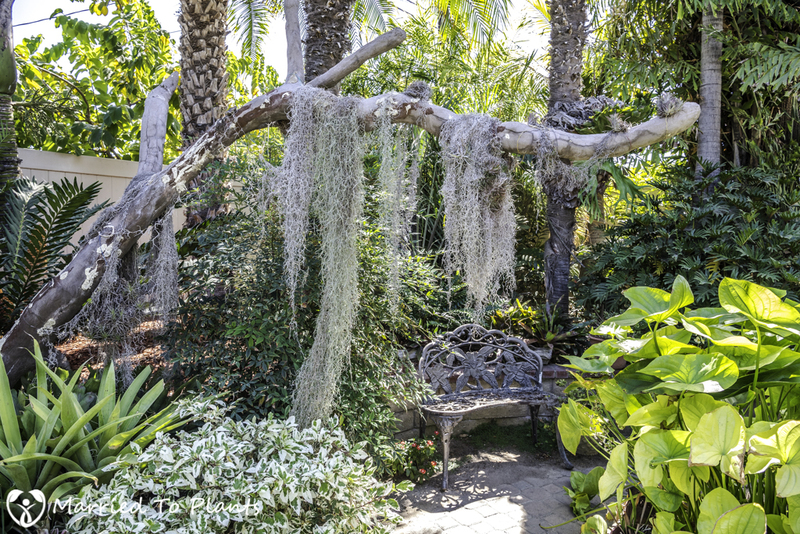 I really liked this branch draped with Tillandsia usneoides that you had to walk under to get to the bench. I need to add more Spanish moss to my yard. I asked Norm, but he didn’t recall what species of Schefflera the leaf in the top is from. I would love to find out and track one down for my own yard. 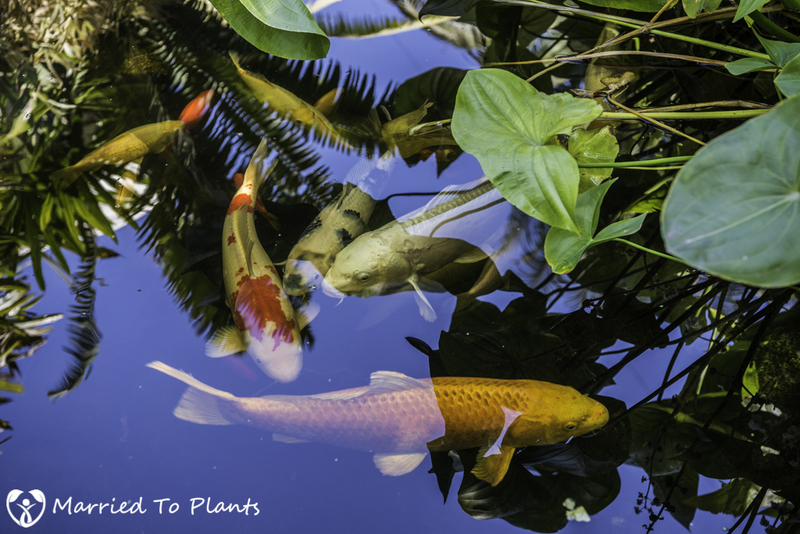 What garden is complete without a koi pond? The walkway along the side of the house shows the devotion of a true collector. To the right you see one of Norm’s greenhouses. 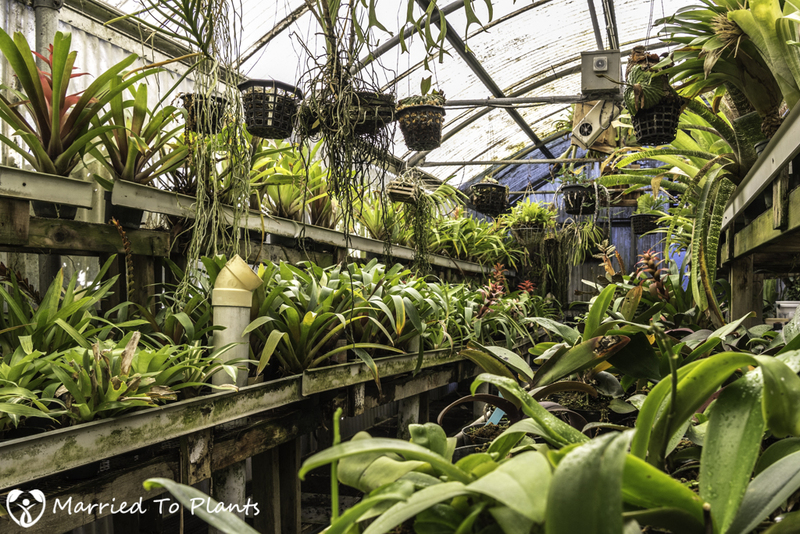 The inside of the greenhouse is loaded with orchids and bromeliads. 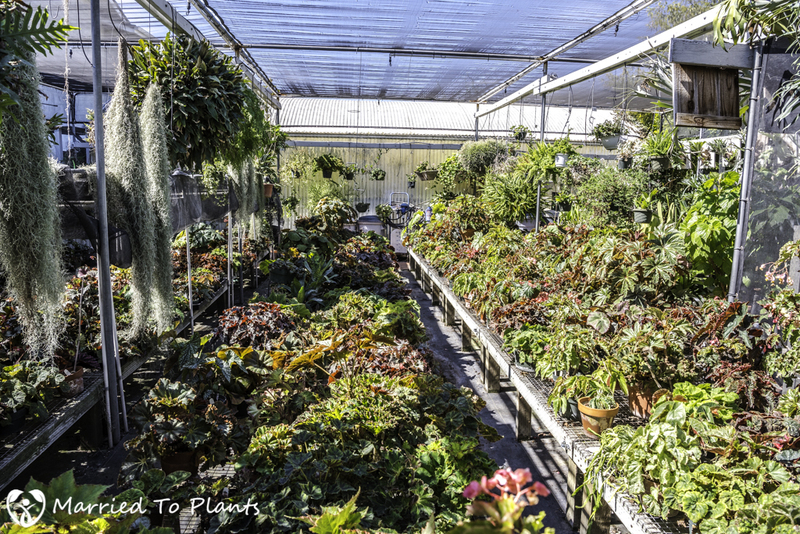 Everything is hand watered in both his greenhouse and the shadehouse at his home. A few orchids were in flower like this beauty. One shadehouse was loaded with Begonias. 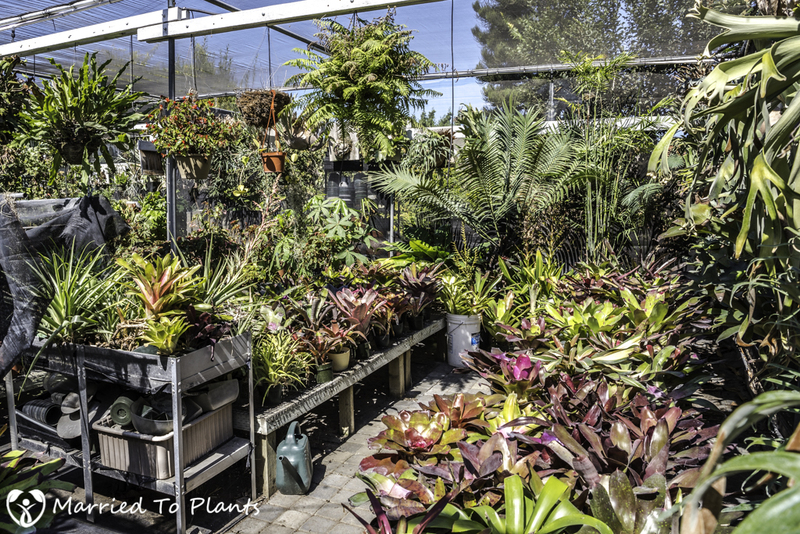 A whole bunch of everything shadehouse, including some flowering bromeliads. So that concludes the Ti Society garden tour of Norm and Candy Nakanishi’s residence. Or does it? OK, so I was in for a surprise. 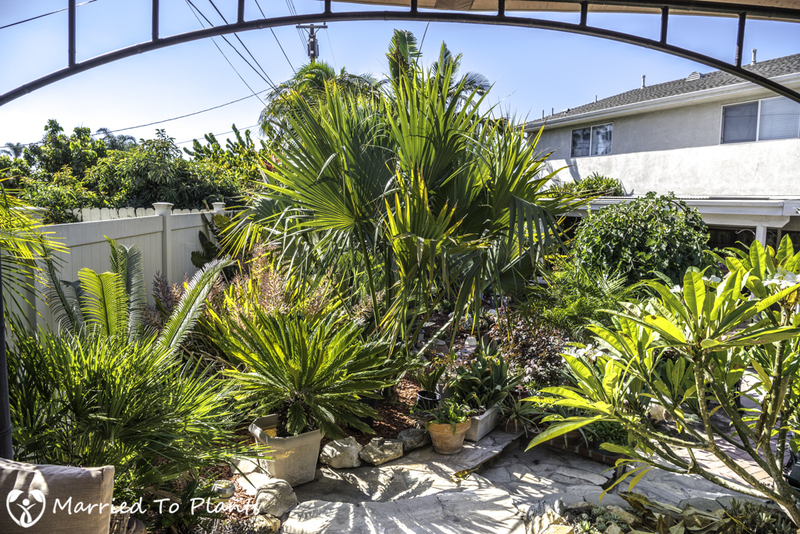 I have seen a lot in my 10+ years of touring different people’s gardens, but I wasn’t ready for the fact that Nom still had two other rental houses he owned right next to each other that he used to spread his plant addiction. A small group boarded Norm’s van and headed down the road to continue our tour. Like his main house, it wasn’t hard to spot his rental homes either. 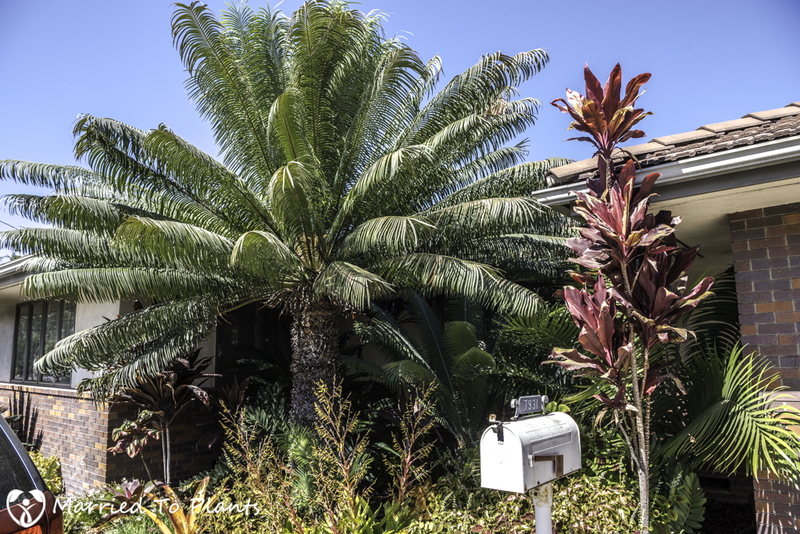 A large Macrozamia johnsonii and Cycas thouarsii helped give it away. Norm’s other two properties were loaded with shadehouses. I actually lost count of how many he had. But the size of them and the amount of plants housed in them were amazing. 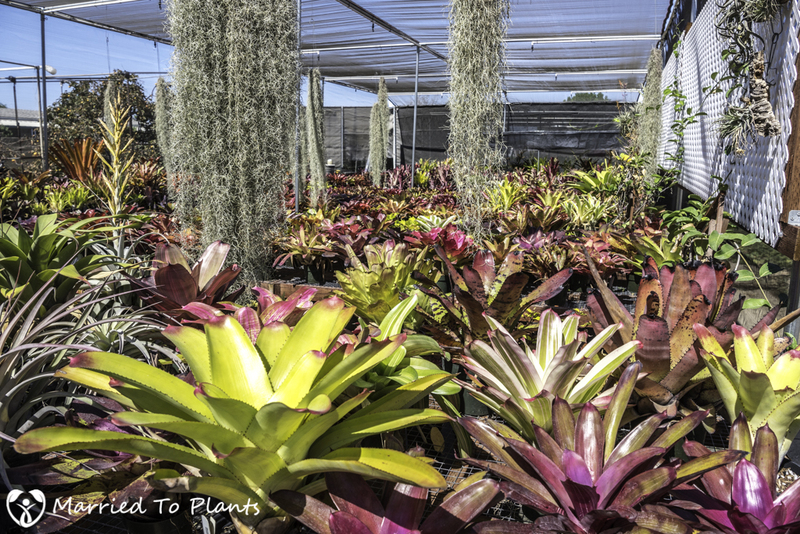 His bromeliad shadehouses were the most impressive to me. 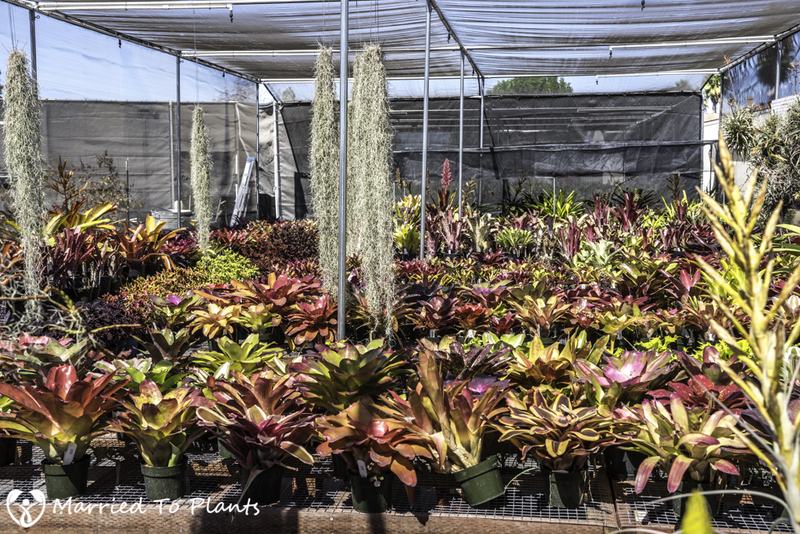 I can’t imagine the amount of time and effort it takes Norm to keep all these bromeliads this clean. 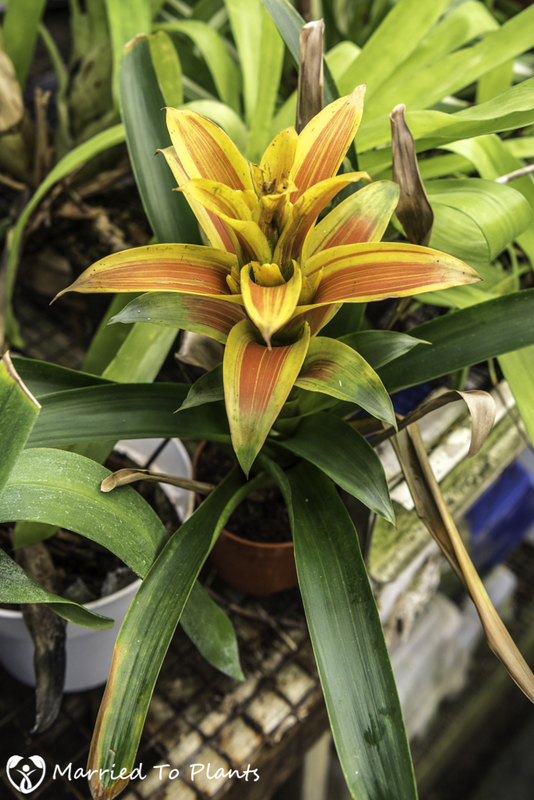 I have become quite the fan of bromeliads recently and have been adding many different kinds to my own garden. 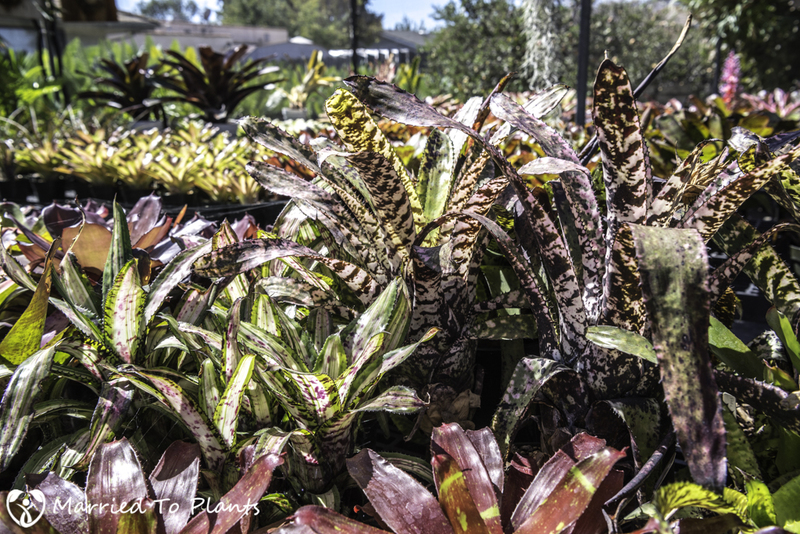 It is with such colorful varieties as these Aechmea that they easily win you over. 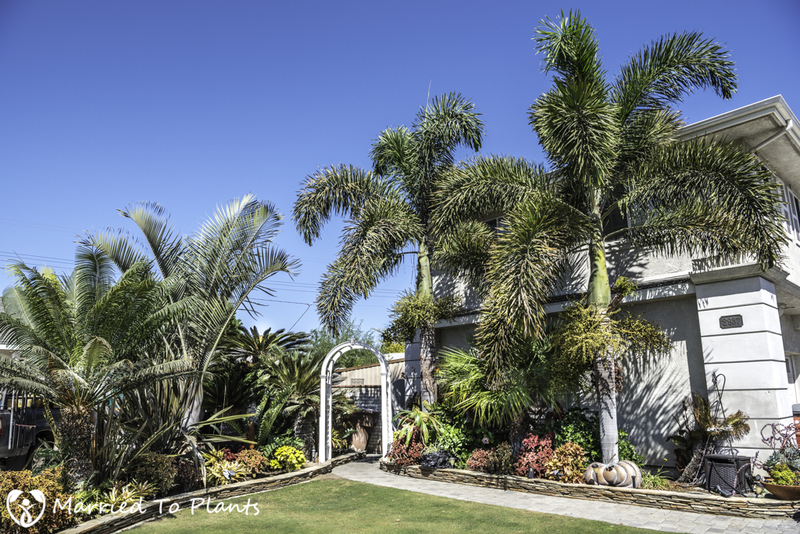 He didn’t just have shadehouses for bromeliads, he had a shadehouse for Cymbidium orchids, Clivias and even cycads (Zamia furfuracea). As you can see from the pictures below, no space is wasted. When you run out of room horizontally, you move to vertical. 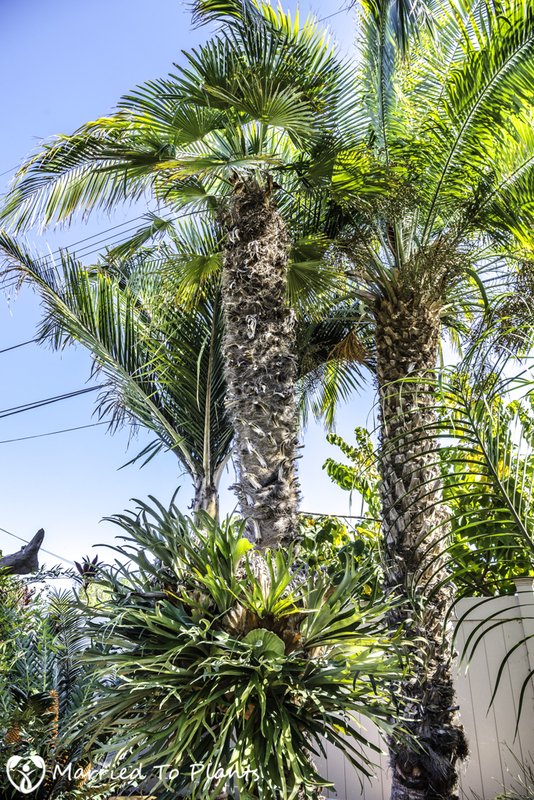 Pots with ferns and bromeliads hanging from the shadehouse helped occupy more growing real estate. 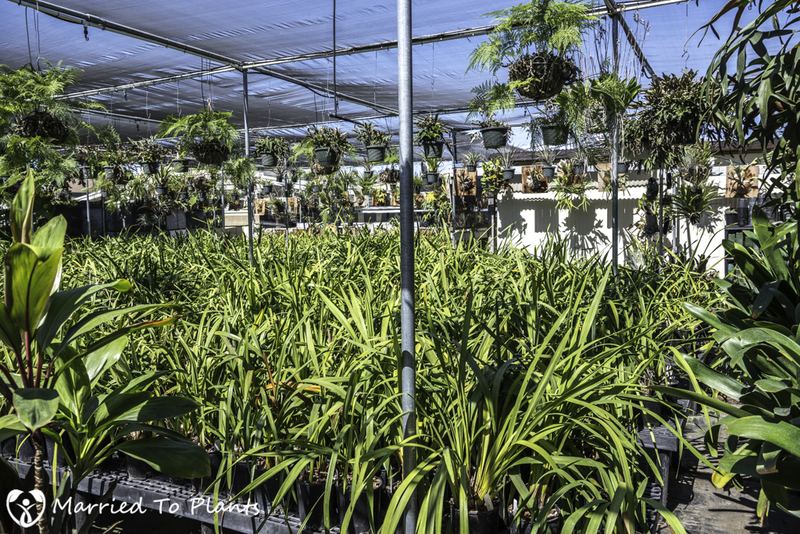 This picture gives you and idea about how large these shadehouses were and the variety of plant material Norm has collected over the years. 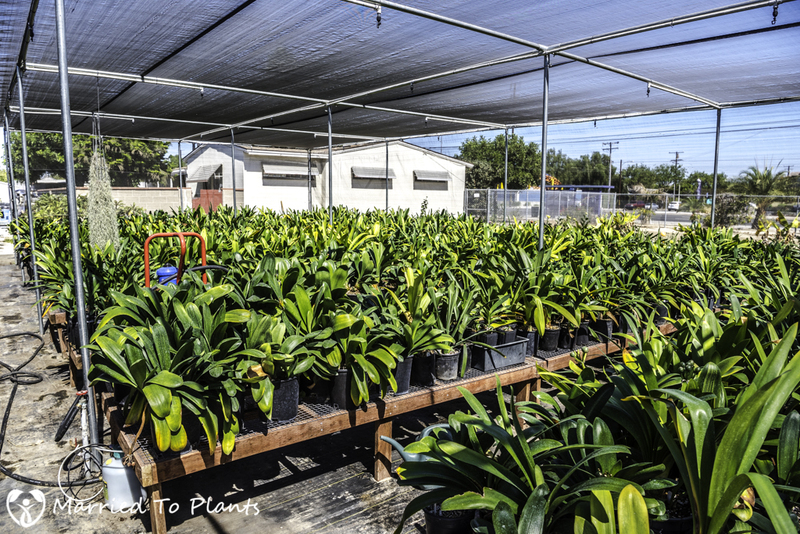 Remember too, this is not some retail nursery he is running. This is mostly his private collection. 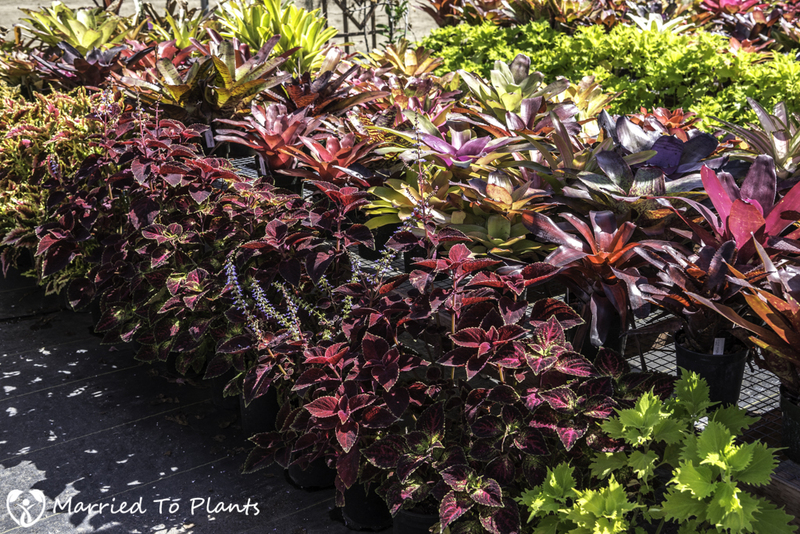 Coleus was another of Norm’s passions. A lot of color in this photo. 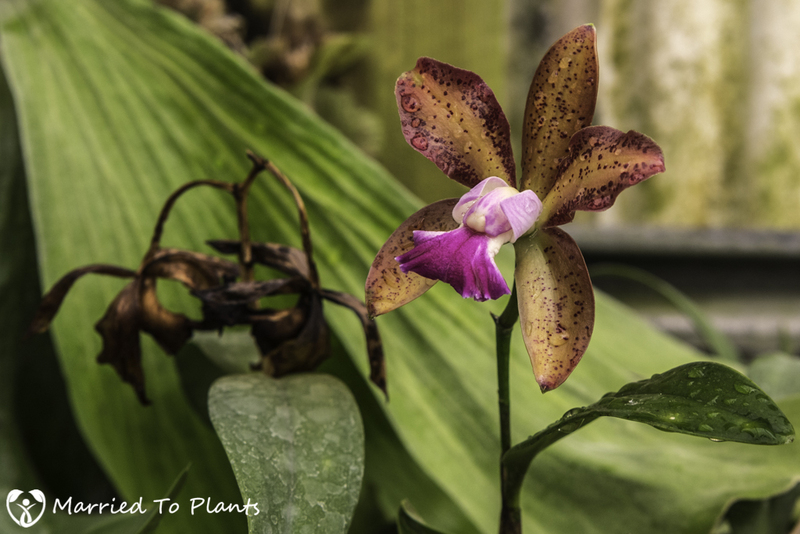 I found this beautiful orchid in flower in one of the shadehouses even though it is not blooming season. How does Norm water and fertilize all this by himself? 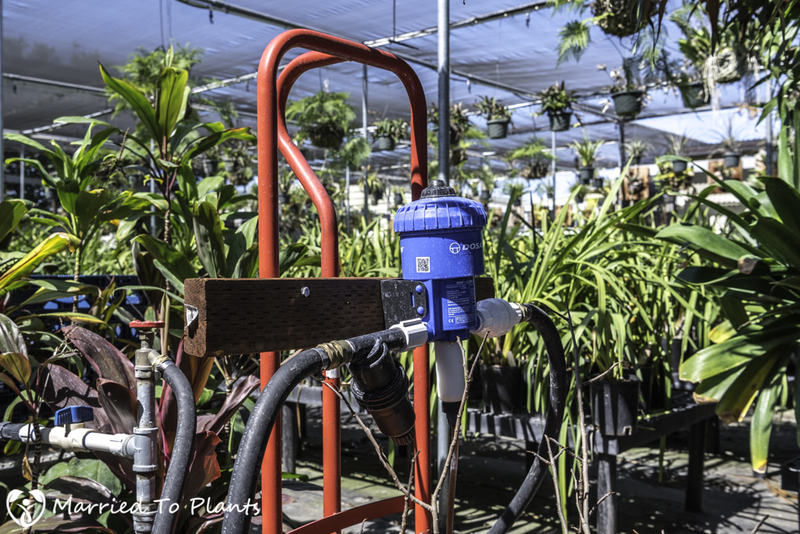 For fertilizer, he uses a Dosatron to inject liquid fertilizer into the irrigation. I too use a Dosatron for my greenhouse and it really makes things a lot easier when fertilizing a bunch of plants in pots. 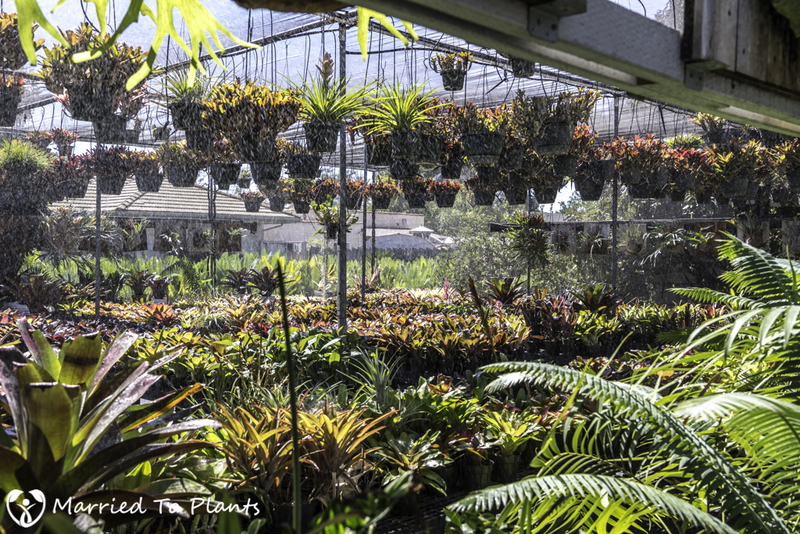 Norm’s greenhouse and shadehouse at his main home are watered all by hand. These large shadehouses at his two rental properties are water both by hand and overhead with a timer. Here we finally get to meet Norm. 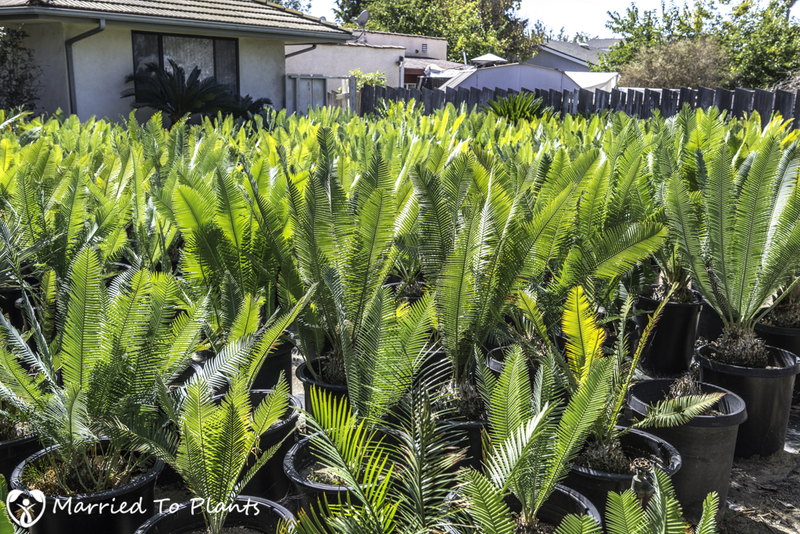 He has been growing cycads longer than any other plant group, so it stood to reason he would have a lot of them in containers. Rows and rows of Dioon edule. 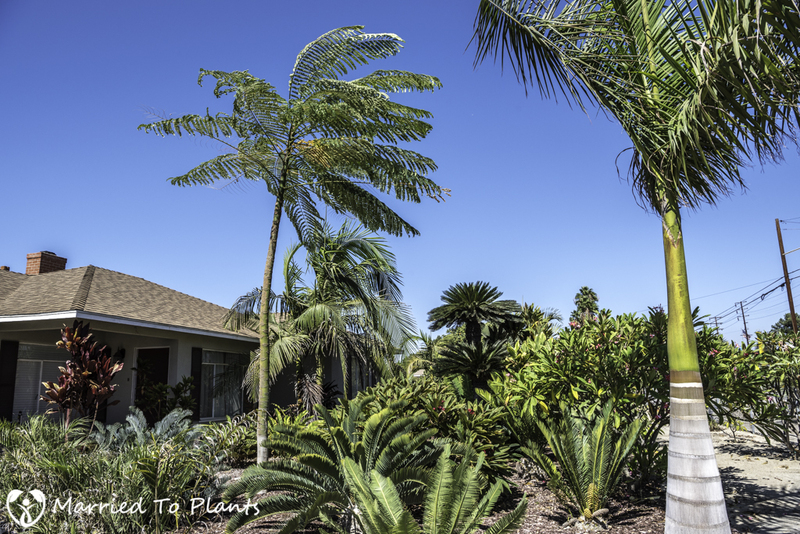 Norm had many cycads planted in the ground here as well. 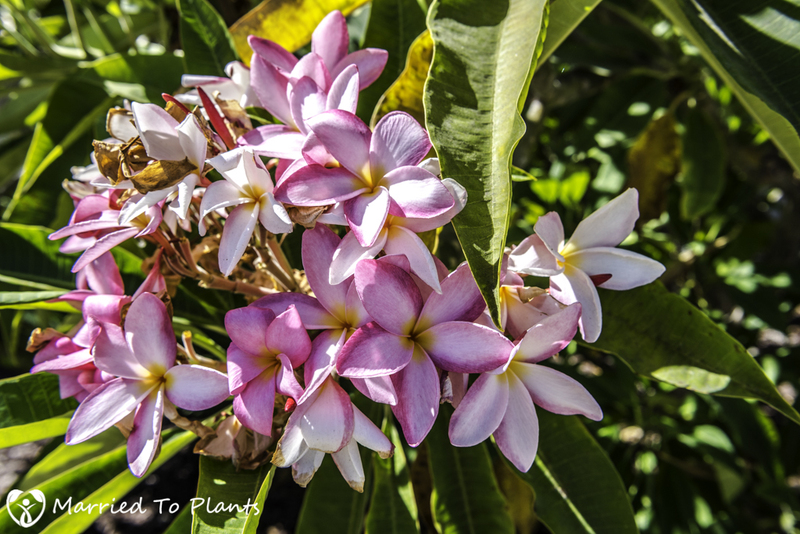 In addition to numerous flowering plumeria. 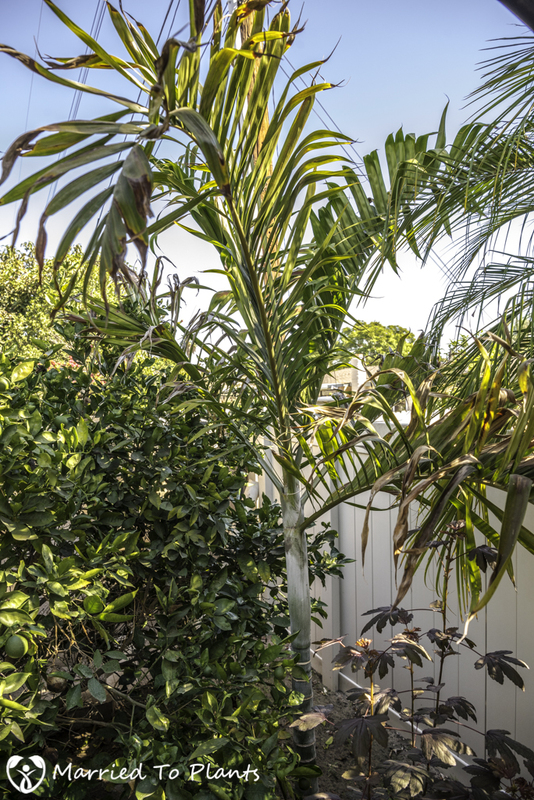 That fern-like tree to the left is a Schizolobium parahyba. 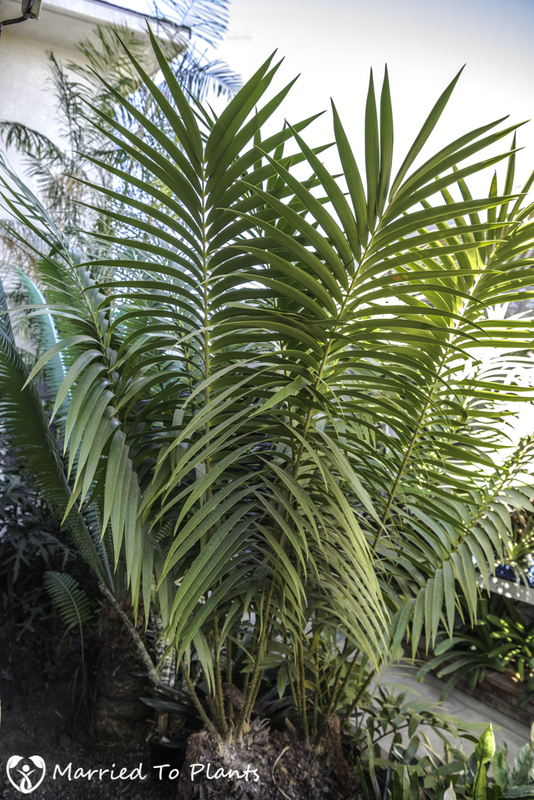 These are very fast growing trees from Brazil and a favorite of palm tree and tropical gardeners for their quick growth and the filtered shade they provide. Guessing here, but that Schizolobium parahyba is most likely just a few years old. 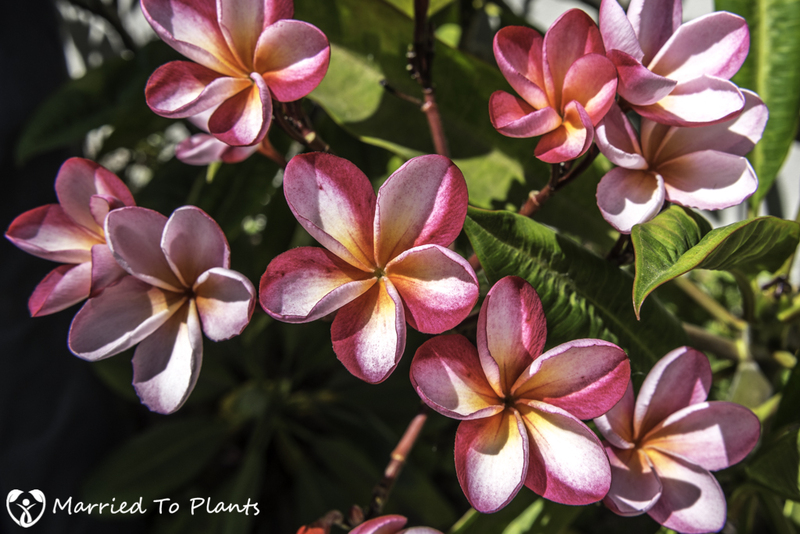 I didn’t write down the names of these plumeria varieties, plus Norm didn’t have the name on most anyway. 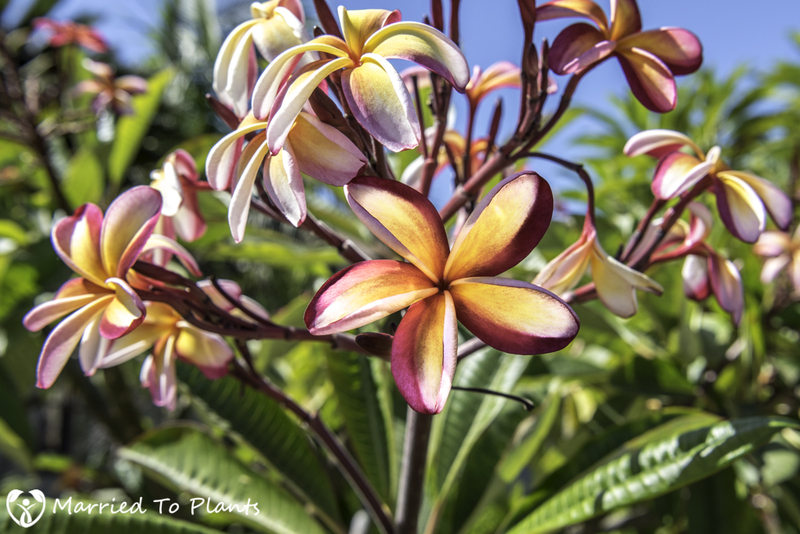 I wish my plumerias were as colorful and sunfast as these varieties. So this really concludes the Ti Society tour of Norm and Candy Nakanishi’s garden. I would like to thank both for opening up their garden(s) for me and my daughter and for allowing me to show their passion online. I would also like to thank Ken Garlock for the invite. Before heading back to San Diego, I enlisted the help of my now “over-it” 8-year-old daughter to get some of the loot I had won at the auction back to the car. She is always such a trooper when accompanying me on these tours. They ALWAYS end up being much longer than I tell her they will be. The Ti Society meets the first Saturday of each month during the warmer times of the year (April – November). 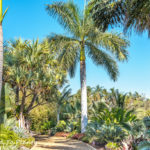 If you are looking for another great opportunity to meet fellow plant lovers, bid on some new plants for your collection, or just want to tour some more tropical gardens, the Ti Society is an open group that loves visitors. Please contact Kenneth Garlock <tropicalkenn at sbcglobal.net> for more details. Great gardening on a big scale by Norm. I have a fair amount of Spanish Moss. It would be piles by now- birds love the stuff and risk cats to get it. 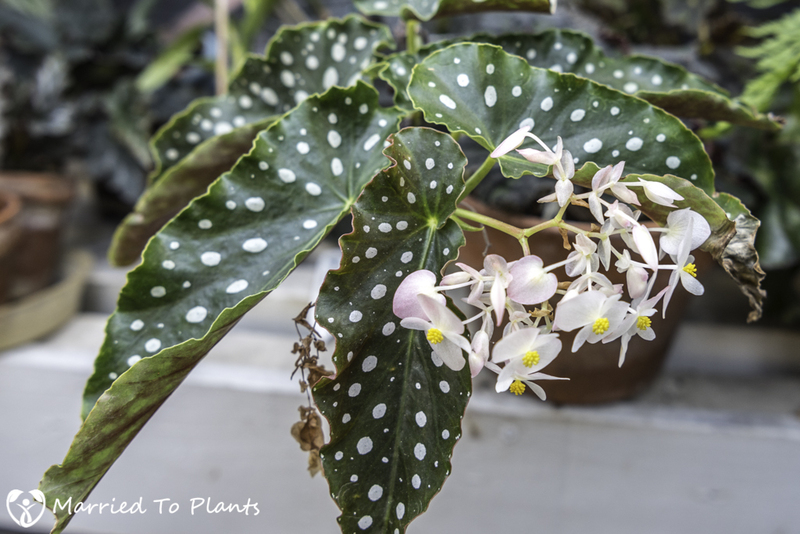 I always look for cane Begonia’s now. The are perfectly hardy- some to z8. The others not that hardy,but once you get them in ground give a lot of bloom and wild foliage. I have an old potted C.circinalis. 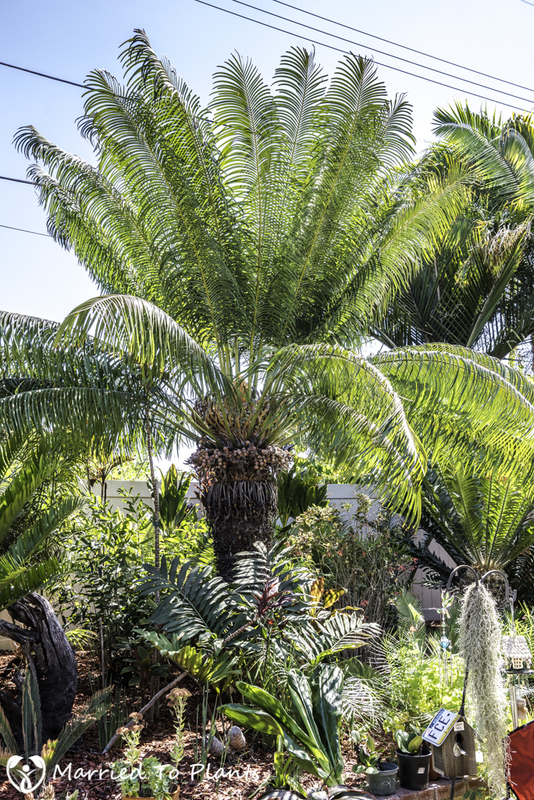 A cycad in the same group as thoursii. A little more hardy then most would think. Full sun,and nothing but full sun is best here. 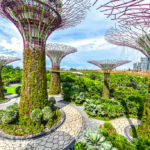 I love these mega gardens. Yes,when you run out of horizontal room,go vertical. What seemed impossible and so “advanced” to me years ago, turned out to be not so hard. What a way to make a plain Ash tree into something people look close at. Stan, I agree on the cane begonias. I have been adding them too. The regally unique ones turn to mush under 35 I have found, it lots of others do great. 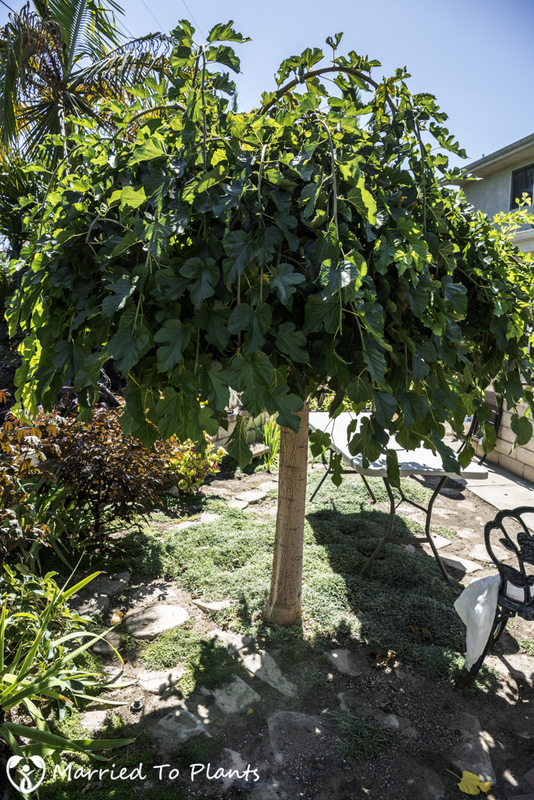 btw- Is that a Schefflera or Cussonia maybe a Trevesia? The Cussonia also comes in silver and near blue along with plain green types. They are extremely popular gopher food. Same for Trevesia. Not sure Stan. Norm said he got it as a Schefflera. Could be some type of Cussonia. Wow! I’m super green with envy that you did such an excellent job of documenting Norm’s outstanding collection. I’ve been to his place several times and always drop the ball in terms of documenting/sharing so much plant goodness. Someday our eyeballs will have built in cameras and then virtual garden tours will be out-of-control. Today I was looking over, for the millionth time, your crazy cool entry with all those really nice Aloe hybrids. The variegated vaombe is soooo nice. I was kinda disappointed though that it didn’t appear to have very many seed pods. My regular one usually ends up with quite a few pods on it. I’m curious if the guy has ever got any seeds and whether he tried to sow them. A few years back I sowed around 3 pods worth of seeds from my variegated arborescens. One of the seedlings turned out variegated and is blooming for the first time this year. If the variegated vaombe did end up with pods it would be really interesting whether any of the seedlings would also be variegated. That hybrid is pushing flowers right now. Last year he didn’t get any seed. If he does, you will never know what you end up with. He has so many flowering aloes in that area. 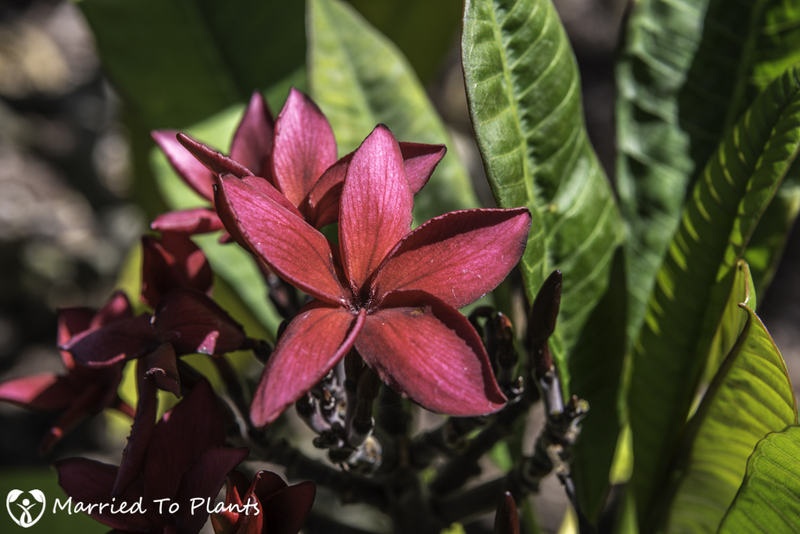 You would want to grab some pods off the lower parts of the flower and just give them a go. If he gets seed I’ll grab some. Thursday I went to a LA nursery with my friend and was very surprised to see a large variegated bainsii for $160 bucks! The variegation wasn’t perfect and the plant looked quite spotty but I still drooled a lot and seriously thought about buying it. Couldn’t persuade myself to do it though. Now I’m talking with the same friend. Recently I convinced her to cut the (cable) cord. I just asked her, “How much are you going to save each month?” She replied, “$160”. Then I asked, “How much was the variegated bainsii”? She replied with a smile, “$160”. Hehe. 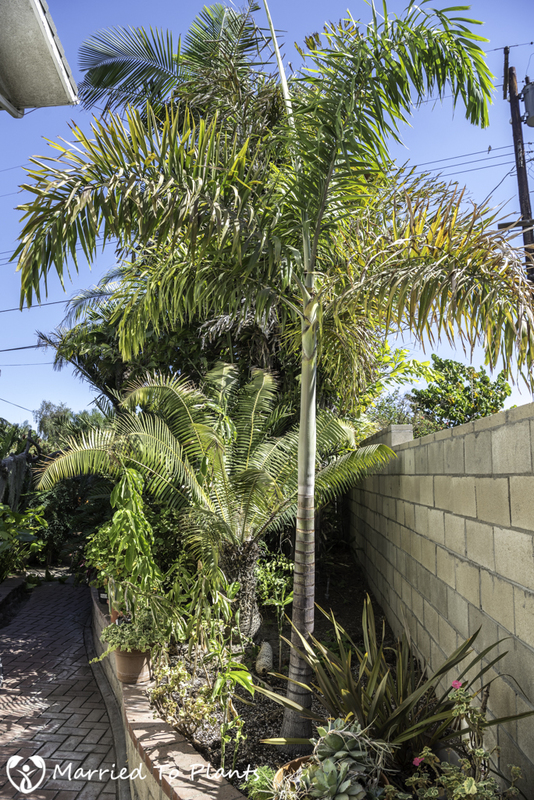 In front of her condo is a long strip of grassy land that’s commonly owned. This Monday she is going to try and persuade the landscaping committee to allow her to replace the grass with Aloes and other succulents. 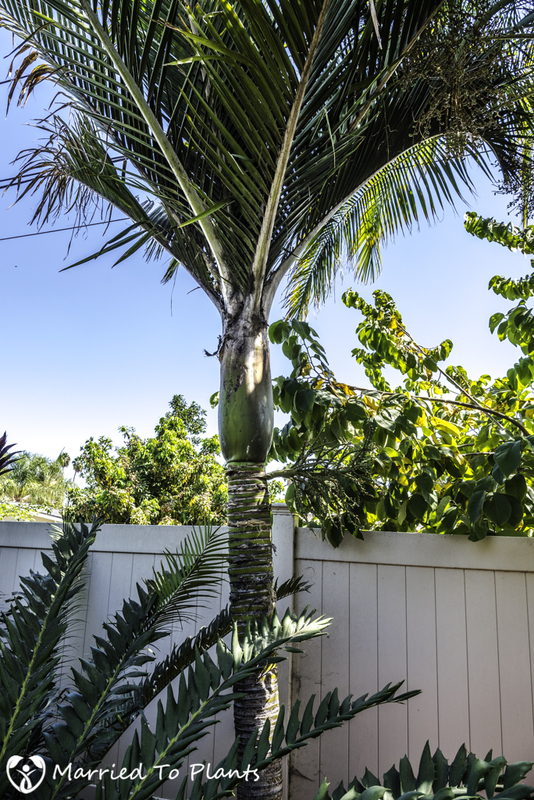 It sure would be a great place to put a bainsii… especially a variegated one. I’ll keep my fingers crossed that the hummingbirds and/or bees do their job this year and pollinate your friend’s variegated vaombe. 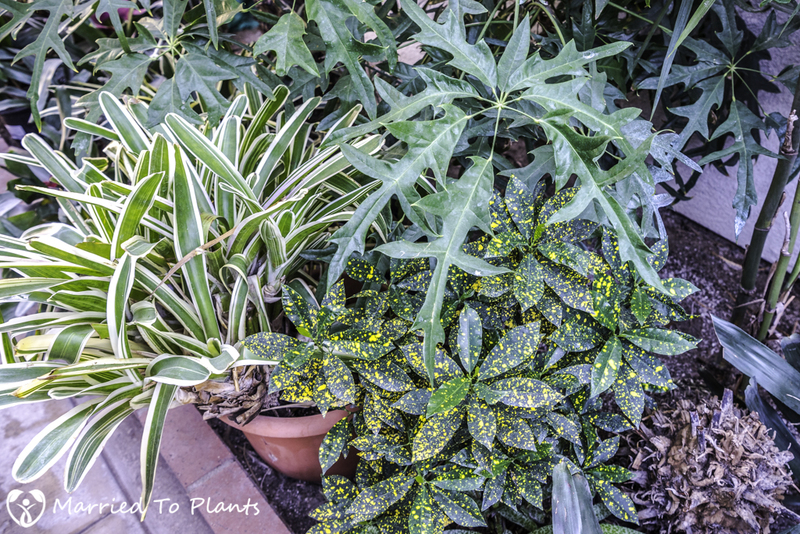 The neat thing about selecting for variegation is that it can be done very early on. It doesn’t take long to see if any of the seedlings are variegated. Unlike trying to select for other traits such as flower color/size/quantity/frequency. It’s interesting that so many Aloes seem to bloom during winter. I read that pollinating during winter can result in the greatest amount of cold tolerance selection. Evidently the little swimmers have some variation in cold tolerance. So, all else being equal, the most cold tolerant swimmer will win the race. 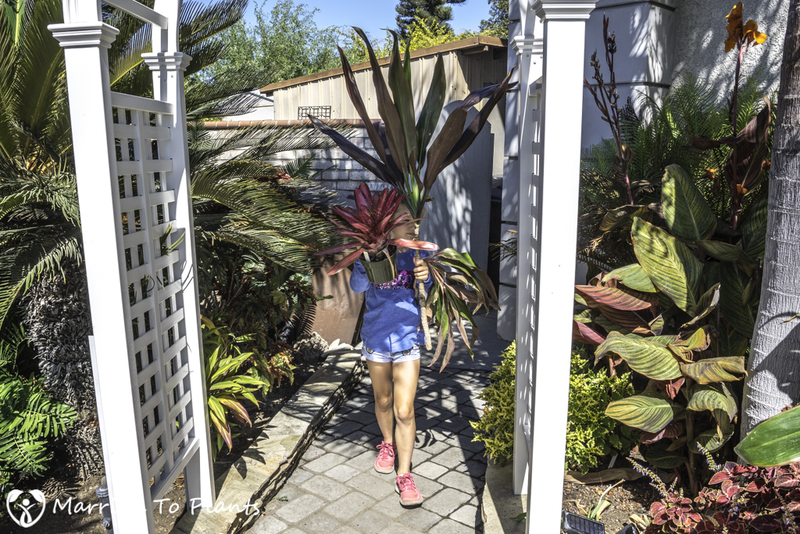 With this in mind, in theory, Aloes in Southern California will relatively quickly become better adapted to our Mediterranean climate. But I think it’s important to distinguish between cold tolerating and cold growing. All my Aloes have no problem tolerating a typical winter. In other words, they don’t die. But they really don’t equally take advantage of our meager winter rains. 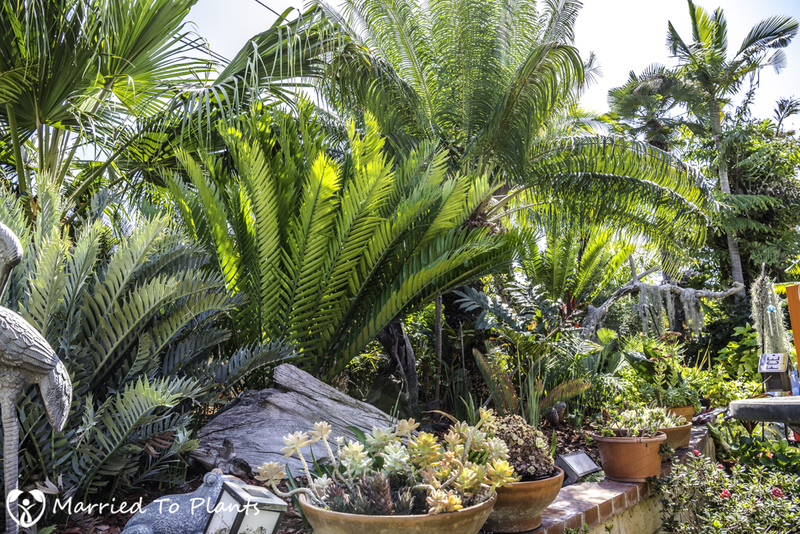 In theory, thanks to natural selection, SoCal Aloes will become better and better at growing during winter. So their range of growing temps will more closely align with the typical range of temps they experience here in SoCal. Yeah, hard to argue against what you say. 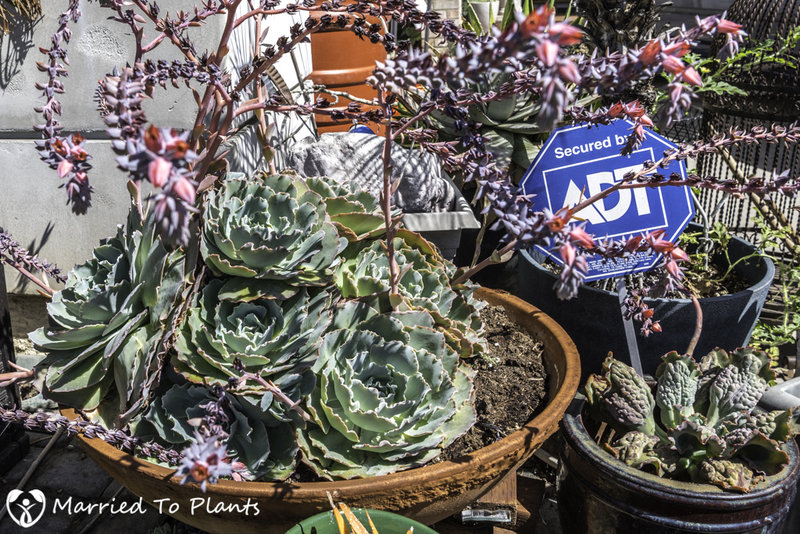 The aloes from winter rainfall areas should always be best. 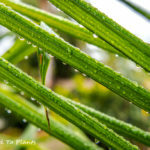 Summer rainfall ones can be more difficult here in SoCal. Also if you like variegated vaombe, this next post I am doing has a few really nice ones. 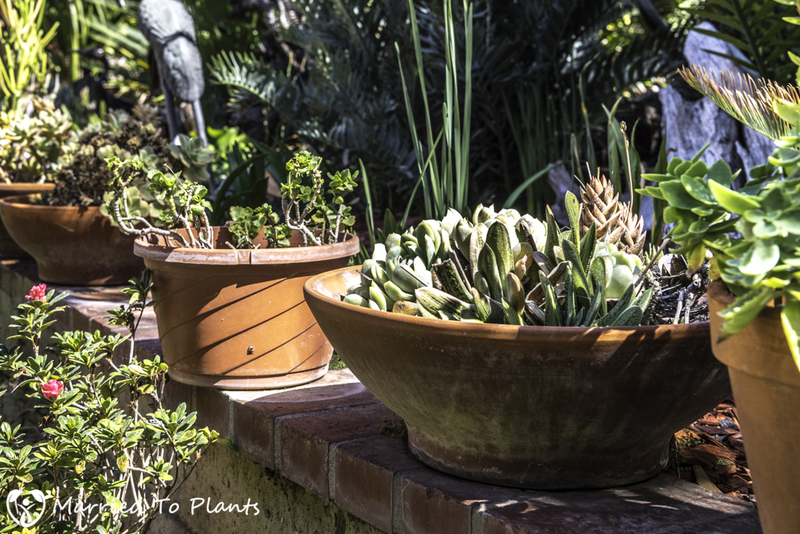 I am doing a featured post on Bobs garden and many aloes are innblook again.